ESSAY: Mazel Tov or Oy Vey? Looking at Jewish-Coding in "Fantastic Beasts and Where to Find Them"
The world of Harry Potter is not a particularly diverse one in terms of religion. Everyone in the books celebrates Christmas, with nary a mention of Ramadan, Diwali, or Purim to be found. Indeed, fans have reached out to J.K. Rowling on Twitter about the lack of Jewish characters in particular, with Rowling mentioning the character of Anthony Goldstein, a Jewish Ravenclaw, who, according to her tweets, “is one of the original forty students [she] created in Harry's year.” Rowling has also notably made extra-textual mention of LGBT characters, such as the famous outing of Dumbledore, though fans have expressed disappointment that these storylines were not made explicit within the source material. With the expansion of the Potterverse into official cinematic territory with the Fantastic Beasts and Where to Find Them spinoff franchise, naturally such fans, myself included, had been hoping to see more diversity and a broader range of faiths and sexualities, as well as ethnicities and nationalities, in the first entry. In particular, when I learned that the main female protagonist of the movie was going to be named Tina Goldstein, I couldn’t help but wonder if her having the same last name as the one named Jewish character in the Potterverse was significant: would the wizarding world finally depict someone like me? Indeed, J. K. Rowling even confirmed (via Twitter) that the Golsteins are related, albeit “[distantly].” The fact that Fantastic Beasts was going to be set in New York City in the 1920s, when many Jewish immigrants made their way to the United States through Ellis Island, seemed to potentially corroborate this theory. Of course, Jews have always had a place in fantasy and science fiction, in a way: while they are rarely allowed to be visibly Jewish, they are often ascribed traits (and often stereotypes) commonly associated with Jews. Watto from Star Wars Episode I: The Phantom Menace is a particularly infamous example of a character who can be—and has been—read as Jewish by antisemites: namely, Watto is greedy, has a large nose, and is involved in the slave trade. 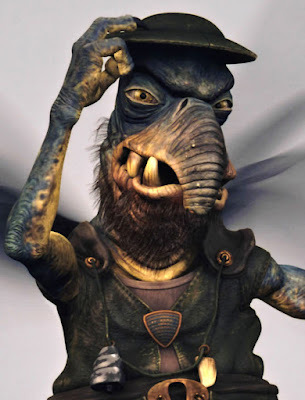 Likewise, the dwarves in the Lord of the Rings franchise are arguably coded with traits associated with Jews; Tolkein himself writes of the dwarves as “not heroes, but calculating folk with a great idea of the value of money; some are tricky and treacherous and pretty bad lots.” Lastly, the goblins in Harry Potter have also been seen as fulfilling stereotypes of Jews within the public sphere: long-nosed and good with money. So for me, the promise of Tina (and Queenie) Goldstein in Fantastic Beasts had all the hallmarks of a change for the better. Unfortunately, as the title of this essay indicates, Fantastic Beasts and Where to Find Them ultimately does not change the status quo of Jews within the Potterverse for the better. Indeed, there is, once again, no mention of anything explicitly Jewish in the movie. Tina and Queenie Goldstein are competent witches, loving sisters, and promising characters on the whole, but there’s not so much as a pair of candlesticks or a mezuzah in their boardinghouse apartment for the Jews watching the movie to recognize. And even though Rowling herself has even confirmed that these Goldsteins are related to Anthony Goldstein, which increases the likelihood of their being Jewish, nothing in the film’s text itself makes this implication canon. 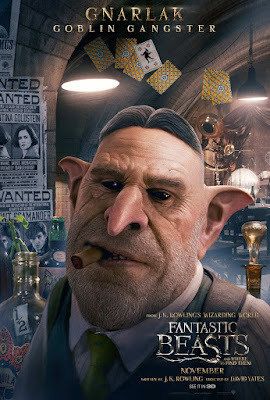 On the more negative side, however, Fantastic Beasts, in one particularly memorable scene that had my jaw drop, manages to combine nearly every negative stereotype about Jews in media in one character: Gnarlak, the speakeasy-owning goblin brought to life by (coincidentally Jewish actor) Ron Perlman. In the scene in question, Tina, Newt, Queenie, and Jacob have made their way to Gnarlak’s clandestine establishment to ask for Gnarlak’s help. To catalogue Gnarlak’s qualities is to note the following: he has a large, hooked nose; he has traces of a strong Brooklyn-type accent; he is very concerned with money; he is a crafty negotiator; and, lastly, he reveals himself to be two-faced and treacherous, as he sneakily alerts MACUSA of our protagonists’ location in his bar in order to claim the reward for their capture. 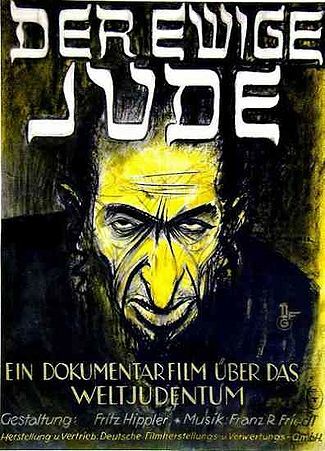 Indeed, the Jewish implications go even further when one considers that Jewish gangsters also played a large role in undermining Prohibition in the twentieth century. I almost wanted to laugh at seeing Gnarlak, watching him go from one type of Jewish stereotype to another within his one scene, because in a media landscape where fans and creators alike have begun to engage in discourse about representation and identity within content, Gnarlak was certainly a shocking throwback to more infamous caricatures of my people. Media representation matters. I will forever shout this claim at the top of my lungs until my voice runs out. The media that we consume and the societal conditions that produce said media feed one another in a cycle that may indeed seem never-ending and immutable. Yet the way for these kinds of representation to ever become real is, until further notice, largely up to the work of fans refusing to be satisfied with mere hints on the one hand and outrageous stereotypes on the other. As a Jewish consumer of media, I would love for my Jewish headcanons and backstories about Tina and Queenie Goldstein to be confirmed in the follow-up movie. Yet representation goes beyond personal pride; it also serves an extremely salient sociopolitical purpose. In a world where avowed racists, Islamophobes, misogynists, and anti-Semites are beginning to have their views mainstreamed in a troublingly unchallenged way, the onus has to be on our institutions of media and the people who love them to fight prejudice, intolerance, and hate. Even if giving Tina Goldstein a Jewish star necklace in the next Fantastic Beasts movie doesn’t solve all of our problems, at least it will be a start.